Normal fit. Material 97% Cotton and 3% Elastan. 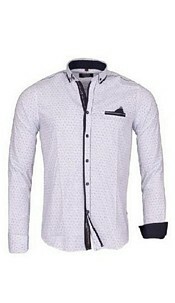 Italian shirt in the color white of the brand Carisma can be found in the category blouses at Cosmoda. Shop these and many more trendy blouses today and receive your order the next day at home! Pay afterwards, free shipping and free return!